One should always be sceptical of any effort to depose a country’s ruler outside the normal process of election. Attempting to alter the democratically chosen course of a country without a vote, though often tempting, is one of those easy answers that usually just makes things worse. Calls for Justin Trudeau to resign over the ever-worsening Lavscam scandal accordingly deserve to be viewed with deep scepticism — particularly by his strongest partisan foes. For all the accolades she’s currently enjoying, former attorney-general Jody Wilson-Raybould’s alleged heroism in Lavscam is really quite minor. According to her own testimony, she simply refused prime ministerial pressure to initiate remediation with the engineering firm SNC-Lavalin, currently facing charges of bribery and fraud. Whatever we think of SNC-Lavalin itself, whether Wilson-Raybould was unambiguously in the right to do this is a complicated question of political accountability. To what degree should appointed cabinet members of an elected prime minister be permitted to make decisions independent of their boss’ wishes? Since the state’s decision to prosecute or not is often a subjective one, whose subjectivity should rule? This is a debate liberal American legal scholars such as Alan Dershowitz have struggled with throughout the Mueller investigation of US President Donald Trump, as a partisan interest — the desire to see Trump suffer at the hands of an open-ended prosecution — must be moderated by respect for America’s democratic hierarchy. The same is true of Canada, where the office of attorney-general is fused with that of justice minister. This means Trudeau’s lobbying, and eventual removal of Wilson-Raybould for her attempted exercise of British-style prosecutorial sovereignty, may simply represent enforcing the controversial reality of our political system, rather than betraying it. Again, this says nothing about the severity of charges facing the company, nor the instincts of a prime minister whose first inclination is to spare a powerful Quebec corporation from the consequences of its actions. But as with Democrats salivating over the notion of a Mueller-instigated Trump impeachment, Conservatives in Canada must weigh whether the creation of an imperial justice department accountable to nobody is a long-term price worth paying for the downfall of a transient political rival. Democrats have similarly been forced to temper their enthusiasm for the mid-tenure downfall of a loathed president with the reality that his successor would mark no material improvement. What would the dawn of President Pence herald, from a progressive perspective, beyond an untainted 2020 rival with a more disciplined style of right-wing governance? Likewise, all of Trudeau’s possible successors are likely to be stronger electorally, smarter politically and further-left philosophically — raising the question of why any Conservative should consider this endgame desirable. Critics on Trudeau’s left, for their part, have to make peace with the reality that there exists no universe in which the Lavscam story ends with their heroine Wilson-Raybould in the prime minister’s chair. A Trudeau resignation would simply trigger a leadership race within the ruling Liberal Party, and a solidified norm of Canadian politics — certainly Liberal politics — is that no man or woman may become prime minister unless they are fluent in both French and English. Wilson-Raybould is not — indeed, her lack of French fluency was previously offered as one of many post-hoc rationalisations for her removal. She may have shattered some glass ceilings as the highest-ranking indigenous politician in Canadian history, but her party is built on a delicate intersectional coalition in which the need to appease French Canadian interests supersedes all others. The ex-attorney-general’s uninterest in sparing Montreal-based SNC-Lavalin from prosecution is already playing worse in the firm’s home province than elsewhere in the country. To believe a party as Quebec-centric as the Liberals is prepared to sacrifice both Lavalin and bilingualism in exchange for disciplining Trudeau is a delusion. The next Canadian general election is only seven months away. For opponents of Canada’s Liberals, signs point to an uphill battle. 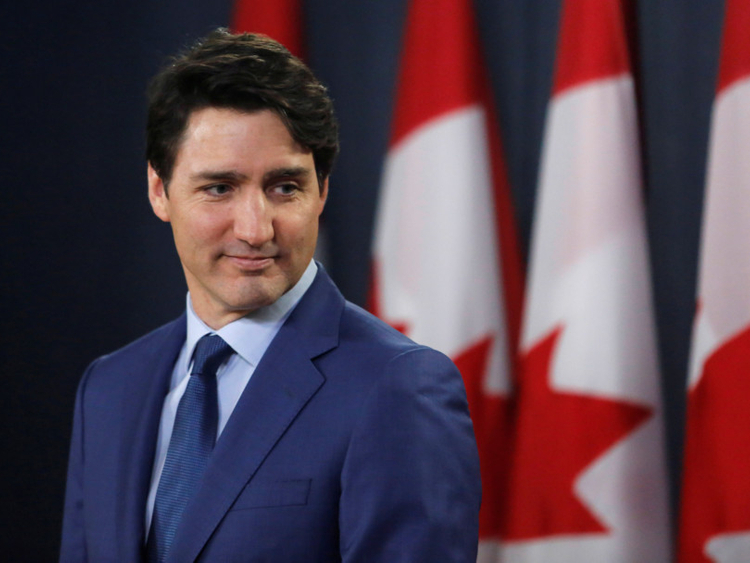 Despite Lavscam’s omnipresence in the headlines, there’s ample reason to believe a strong plurality of Canadians will remain loyal to Trudeau’s party and its agenda, brand and policy, regardless of who’s heading it. The task before Canada’s opposition is to assemble a persuasive case to the contrary — a case not merely against the current prime minister but also against the larger agenda of Canadian liberalism the man and his party represent, and why nothing short of a complete change of government will be sufficient to correct the country’s course. That is democratic accountability. There is no shortcut.